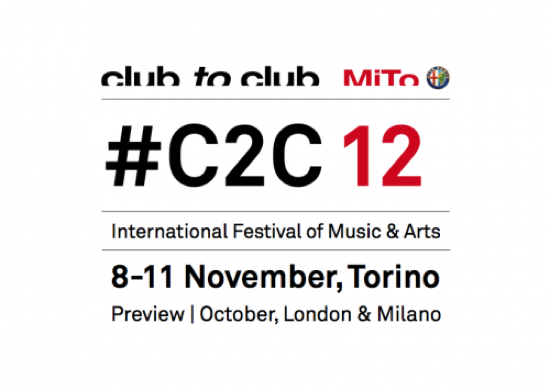 As we've previously reported, the line-up for the twelfth edition of Turin's Club To Club festival is mightily impressive. Jeff Mills, Actress, Flying Lotus, Shackleton, Marcel Dettmann and Regis top the bill, followed by no less than Laurel Halo, Liars, The Haxan Cloak, Vessel, Jam City, Ital, Kode9, Teengirl Fantasy and Thundercat. There's also a launch party at Village Underground in London on October 18 as the first leg of the festival. Themed as 'The Italian New Wave', it matches some current Italian electronic pioneers - Lory D and Lucy, Daniele Baldelli, Esperanza, O/One Circle, as well as the Club To Club soundsystem, featuring Giorgio Valletta - with headliner Kuedo. We've got a pair of passes for the festival AND a pair of tickets for the launch party to give away to one lucky reader. To be in with a chance of winning, just e-mail your answer to following question to comps@thequietus.com, with CLUB TO CLUB in the subject line, by midday Tuesday October 16. Unfortunately, only UK residents can enter the competition. To read the Quietus Competition terms & conditions, click here. Q: Turin is home to which notable religious artifact?